SEARCH for the employee who needs to be reset. 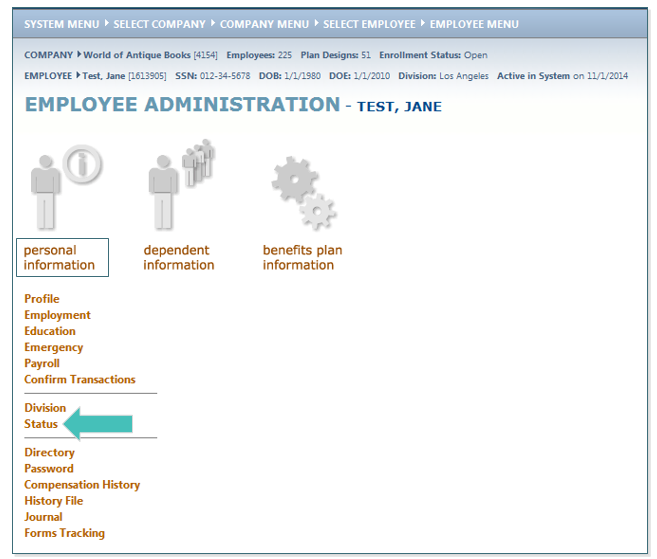 Highlight the employee name (if more than one employee with the same keyword exists), click SELECT. 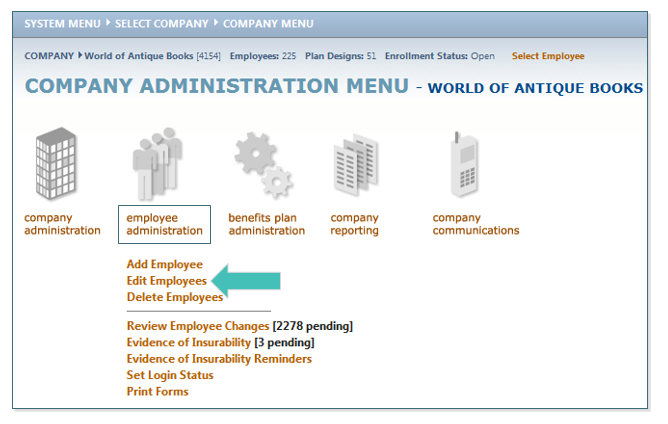 On the Employee Administration menu, click on Status. 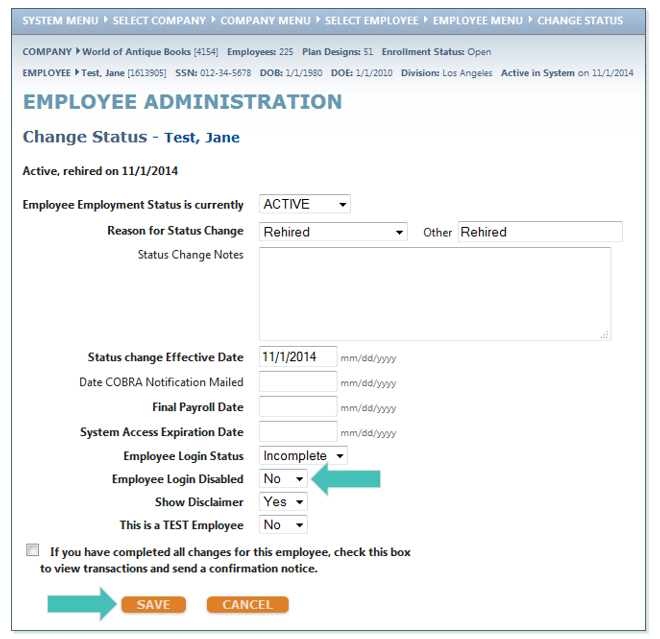 In the Employee Login Disabled field, change Yes to No in the drop-down menu and then click SAVE.